If you own or plan to own an Amazon Echo let me be the first to welcome you to the Alexa fan club and help you get started! Alexa, for those who don’t know, is the Echo’s virtual voice assistant, and believe me, once you see all she can do, you’ll wonder how you survived without her. Capable, intuitive, and easy to use, she can stream your music, teach you a “skill,” or tell you a joke to cheer you up. She can also help you control a slew of smart devices, along with a few traditional ones; seriously, if Alexa were real, you’d be showering her with jewels. But Alexa is only as good as the commands you give her; you need to know what gadgets to use with her, which devices you already have that are compatible and what skills she has. Which is where I come in. My guide to the Best Devices for your Amazon Echo will break it all down for you by category, giving you a clear and easy blueprint of how and where to use Alexa. Before we look at what devices to use your Echo with, let’s go over what an Echo is and what it can go for you. The Echo is a powerful Bluetooth speaker that is voice activated and runs ion WiFi. Tall and slim, it has seven noise-cancelling microphones, providing crisp, clear sound for listening to music or talking to Alexa. And it’s Alexa that sets this smart device apart from all the others. 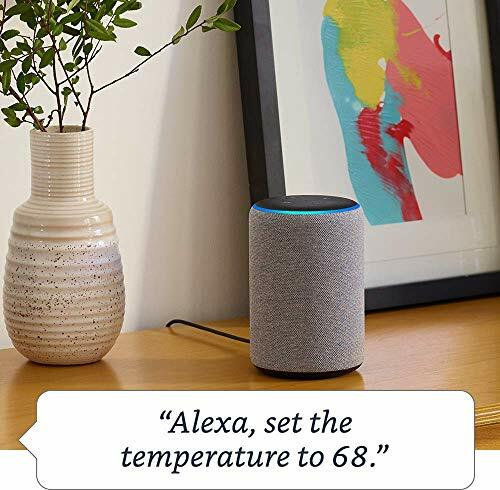 She will walk you through your device setup and help you with an unlimited number of actions, from controlling a smart thermostat to giving you step-by-step cooking instructions. Just say: Alexa, what’s today’s weather? or Alexa, play me some Lady Gaga and she’ll give you what you ask for. And contrary to what you may have heard, you don’t need a Prime account to use the Echo. Shop with Your Voice: With or without Prime you can do some serious shopping; Order a pizza from Domino’s or have Alexa cal you a cab through Uber. there are tons of apps to shop with. As for Prime members, you can shop Amazon and get sales alerts, but shopping is limited; no clothing or jewelry at this time. Learn a new skill: The Echo has hundreds of skills or apps, and that number grows every day as new ones are added. Some can teach you real skills, like how to bake a cake, while others are to entertain, like the Friday night favorite, Beer Trivia. Control other devices: From smart bulbs to thermostats, the Echo doubles as a smart hub, controlling other gadgets around your home. This simplifies the number of apps and remotes you need and makes turning down the lights easier than ever. So, what does the Echo work with? Turns out, a whole list of gadgets, some of which may surprise you. Here’s a list, by category. Setup: Setup with all these bulbs is easy. Place them in the sockets, give each a name and group them any way you want in the Alexa app and you’re ready to go. Of all these brands, my personal recommendation is the Lifx. 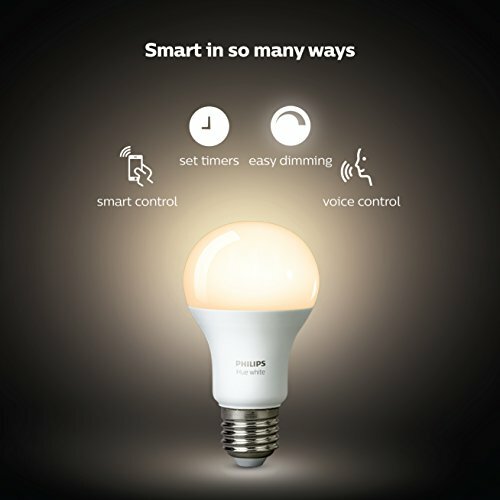 Yes, the Philips brand is more popular and compatible with third-party devices, but Alexa can only dim or brighten using Philips, not change colors. However, Lifx has incorporated an extra Alexa skill, allowing you to change colors with their brand. Just say Alexa, tell Lifx to change the bedroom lights to blue (take notes, Philips!). They’re also a bit more budget friendly, letting you set the mood without breaking the bank. Don’t feel like investing in a smart bulb? If not, you can buy an iDevice Socket, an adapter that will turn any bulb you use into a smart bulb; it screws into existing sockets and is Alexa friendly. 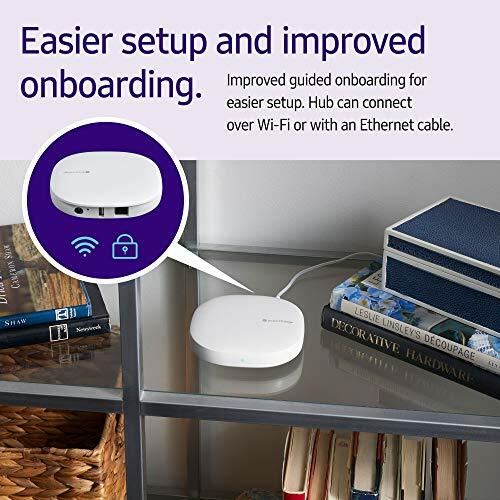 Setup: Setup varies by hub, with the SmartThings being the most complicated; anyone new to home automation will want to take their time choosing and installing. Choosing a smart hub will depend on your home’s setup, as each hub is compatible with different brands. That’s why Samsung’s SmartRhings, despite its complicated setup, is my top pick. It works with twice as many smart devices as any other hub and once you get through the annoying initial process, it works seamlessly with the Echo. For those looking for a more affordable option, go with the Wink; it works with a fair amount of devices and has a simpler setup, all for about half the price. Setup: If you opt for switches, which are the better choice for controlling lights, you’ll need to do some wiring; call an electrician if you don’t know how to do it correctly. Of all the switched here, the Belkin line is the best choice and the most affordable one. The wiring is straightforward and unlike the other switches, you don’t need an additional hub; the Echo is all you need. However, the Belkin system doesn’t have a dim option; if that is a must-have feature for you, then go with the Lutron Caseta Wireless Dimmer Switch. You’ll have to install the Lutron Smart Bridge, but it has built-in Apple HomeKit support, giving you Alexa and Siri. As for plugs, the TP-Link smart plus with energy monitoring id the way to go. You can turn on any device plugged into it, from air conditioners to TV’s and monitor energy usage. Even better, you can set a schedule for lights to turn on and off when you’re at work or away, so it appears like you’re home. Yes, the Dot is basically a smaller version of the Echo, with a less powerful speaker for hearing music, but at under $50, it is a bargain; you can put one in every room if you want and there is a built-in Bluetooth radio. Plus, if you’re unsure about investing in the Echo, you can always start out with the Dot, which can perform almost all the functions the Echo can. The Echo voice remote is a great idea, allowing you to control the Echo when you’re out of voice range while the Fire TV voice remote lets you manage your TV through Alexa. Setup: Setup can be a little complicated; there are wires on the physical thermostat that need to be attached, so if you are not experienced ask for help or hire an electrician. 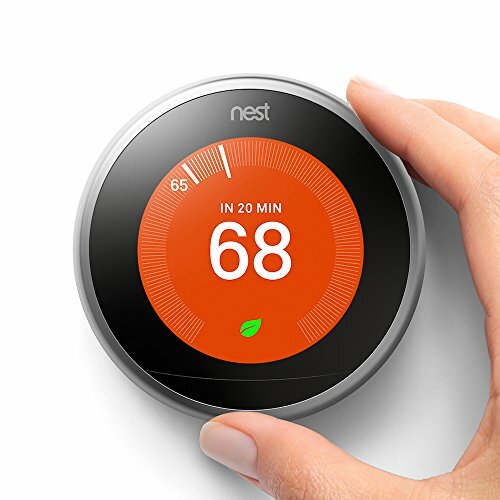 Most smart thermostats are controlled using your phone; now, with Alexa, all you need is a simple voice command to lower or raise the heat or air conditioning. While the Nest and Ecobee are both comparable in price and offer exceptional quality, the smart choice here is the Ecobee. The Ecobee has extra features, like a remote temperature sensor, which can regulate rooms that run hotter or colder than the rest of the house. It also works with HomeKit, making it a better all-around choice. For those just looking for the basics, Emerson’s Sensi Wi-Fi thermostat is a solid option. Plain in design and simple in function, it will get the job done just as well. 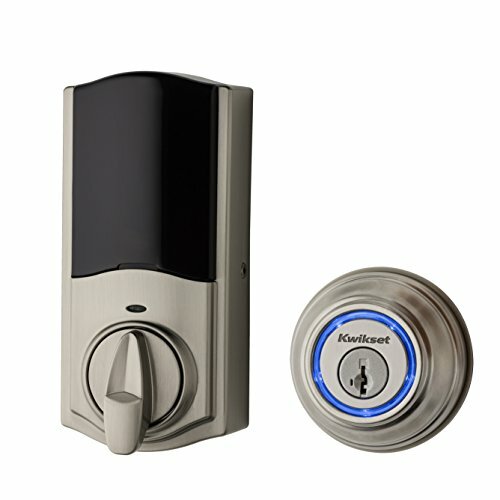 There are more locks than systems, and any of the smart locks listed will get the job done. Thanks to an update in Alexa’s skills, you can not only tell her to engage the locks on your home but ask if it is locked. I like the August lock, which lets you lock and unlock and requires a pin to unlock for added security. As for the home security system, Scout is the best option. Technically, the SmartThings hub is another option, but it is sorely lacking when it comes to security access through Alexa, so I didn’t include it. You can’t arm or disarm the SmartThings system, ask about its status or get recent security activity. Scout, on the other hand, is easy to access via Alexa. 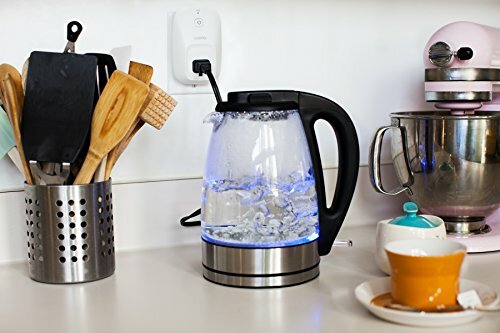 It has a motion sensor, open/close sensor, a second open/close sensor a RFID scanner built in and other features that are simple, but highly effective. There is a siren built into the hub and you can arm, disarm, find out if your home is armed and more. Best of all, setup is easy and secure. The Blink, a security camera only system, is a good alternative. In addition, there are other stand-alone devices that you can pair up with your Echo, starting with the fitness world. The Fitbit Aria can sync to your Echo for progress updates and to see what your last weight was, as can any of the Fitbit devices. On the home front, The Hive active heating and hot water system is another cool gadget you can use with Alexa. It can be used to control water temps and keep your pipes from freezing. No more busted pipes or freezing showers! Meanwhile, the Neato Botvac wills tart vacuuming with a simple command from Alexa! Finally, car lovers will appreciate the ZeroTouch air vent car mount, which allows you to control your heating, lights, or any other connected device when you’re not home. 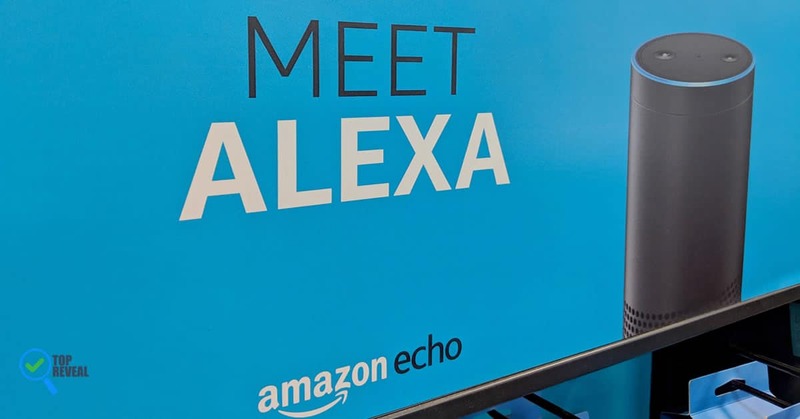 With my guide to the Best Devices for your Amazon Echo you’re sure to get the most from Alexa and any other smart device you pair her with. The Echo is the “smartest” device you can buy, entertaining, informing and teaching you day after day. So go ahead, go tell everyone to run out and gab an Echo- you know you want to!